I've definitely posted this before! Aaaages ago! :P But it's still one of my favourite photos I've ever taken at Disneyland Paris! 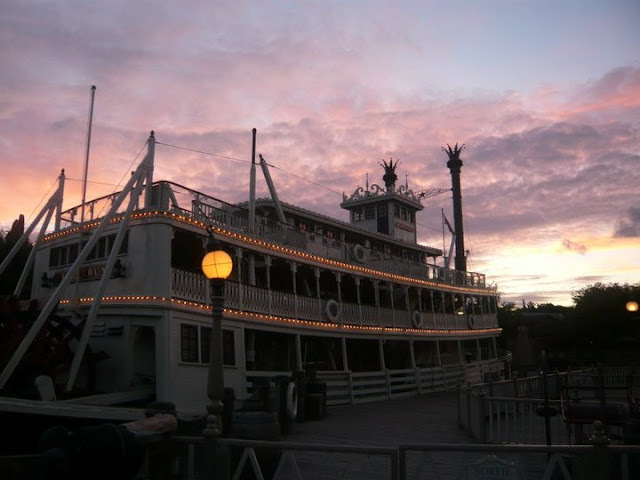 This shot of the Riverboat is absolutely gorgeous!!!! What a beautiful time for a picture, love the clouds and coloring. Thanks for sharing! love it. glad you posted it again cause I hadnt seen it yet. That is such a pretty picture! I love how you captured the twinkling lights, the colors in the sky and sun setting! Wow...very pretty! I love the pink cast of the sky. Nice.